The Curved Mini Co-Sleeper® bassinet has two modes: The Co-Sleeper® mode and the Freestanding bassinet mode. It also contains an easily accessible space for storage. Four breathable mesh sides, a 4-inch sleeping nest height, and patented attachment strap and plate provide the safest sleep solution for you and your newborn. Built to last and ready to travel! 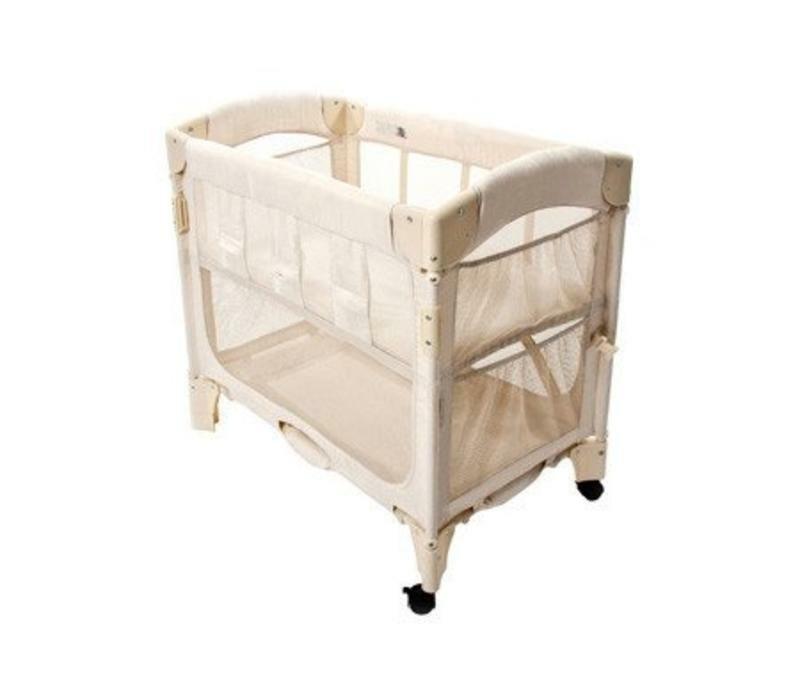 The Curved Mini Co-Sleeper® bassinet is 34" x 20" x 31" and is conveniently portable, folding quickly and easily into a 10" x 10" x 32" nylon carrying case with sturdy carrying strap. 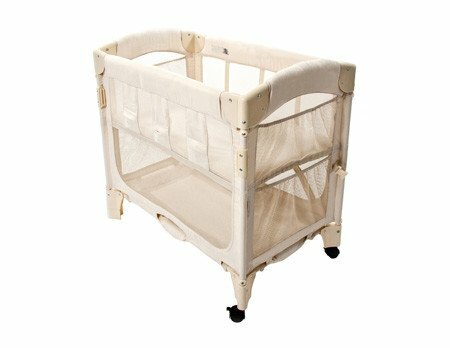 All Curved Mini Co-Sleeper® bassinets include everything you need to get started: A sheet, a mattress, and a nylon attachment strap and plate. 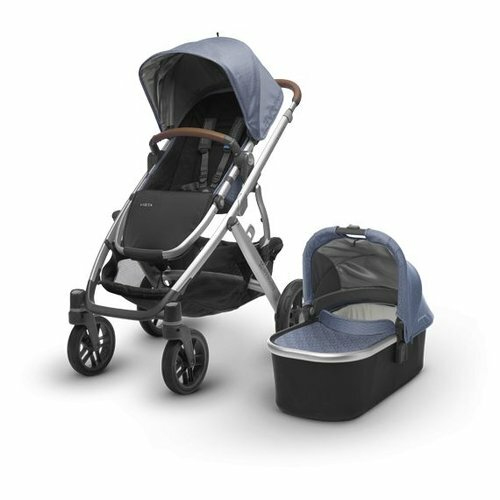 The Curved Mini Co-Sleeper® bassinet is a unique creation that allows you and your baby to sleep comfortably next to each other from the moment your baby arrives. 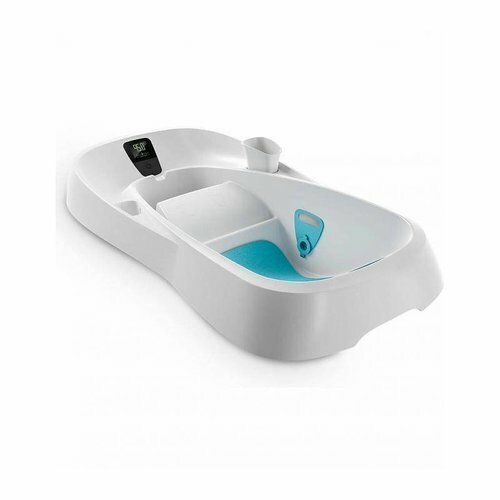 This bassinet enables you to reach over and draw your baby close for comforting and bonding. The innovative design also makes breastfeeding easy. The Curved Mini Co-Sleeper® bassinet is the ideal sleep solution for any concerned parent. **For bed heights starting at 24". Measured from the floor to the top of the adult mattress. The Co-Sleeper® and bassinet modes are only for an infant up to approximately 5 months in age or when the child begins to push up on hands and knees, whichever occurs first. 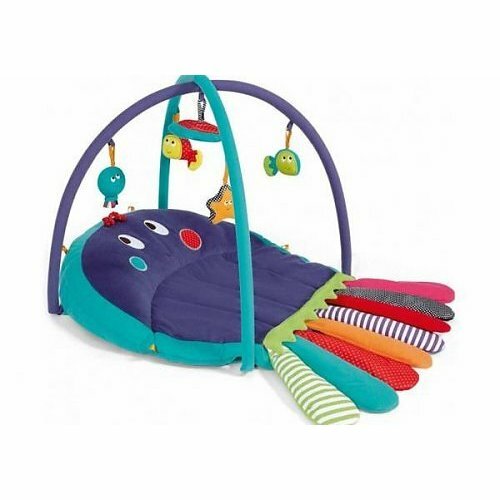 Move your child to another sleeping product when your child reaches this stage. If your bed is greater than 24" tall, a leg extension kit can be purchased at an additional cost.